Puerto Vallarta, Jalisco, Mexico - The history of the Charro is an important part of Mexican culture, especially in our state of Jalisco where the tradition of the Charrería is still alive and well today. 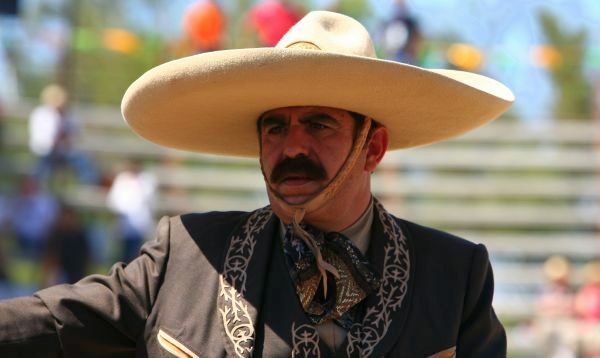 The most direct translation of the word "charro" to English would be "cowboy," but Mexican charros are much different than the idea of the American cowboy, with a culture, etiquette, mannerism, clothing style and social status that is quite unique. The history of the Charro dates back to the Spanish Conquest, when ranch owners would outfit their cowboys with distinctive clothing and saddles to denote status and wealth. During the Mexican War of Independence, they played an important role on both sides of the war, riding in private militias. 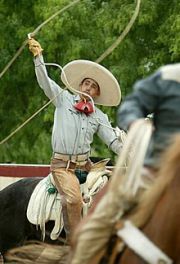 Around the 1930s, Charrería became a national event, popularized by the charros of Jalisco and the state of Mexico, and grew to become Mexico's national sport. Charrería is best described as a mix of rodeo skills and dressage, with riders showing traditional competitive roping and ranch skills, but also exquisite costumes, custom tack and horse grooming, and horsemanship skills like "dancing horses, similar to Vienna's famed Lipizzaner stallions. Charros are a beautiful, revered and special part of Mexican culture and from August 20 to September 2, Guadalajara will host the 25th International Mariachi and Charro Festival. Just a 4-hour drive or less than an hour by air, this is a great little overnight trip from Puerto Vallarta to experience some incredible Mexican tradition. For more information, and the full schedule of 25th International Mariachi and Charro Festival activities and events, visit mariachi-jalisco.com.